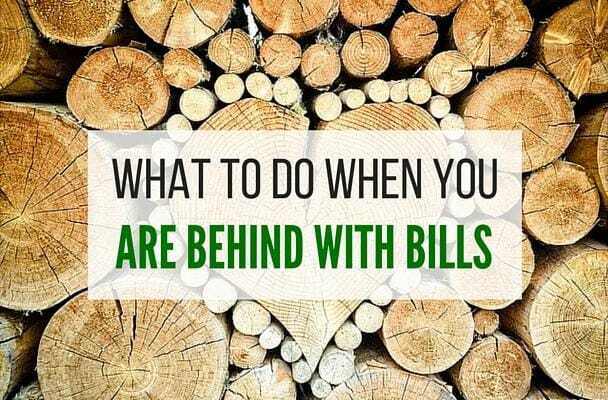 Home » What To Do When You Are Behind On Bills? If there’s one thing that I vividly remember when I was in debt, it was that I experienced being behind with paying my bills. The trauma, the non-stop harassment phone calls, the uncertainties, and so many others are the things I experienced over and over again during that time. I know these experiences are something many people who have been in my place or are going through one fully understand. A couple of people reached out to me and asked what they can do when they are so behind with their bills. I may not be an expert, but I know, from experience, what can be done to help someone be current or ahead of paying their bills. I know each situation is different and some of the tips I will lay out here may or may not apply to you. What I always hold onto is the belief that every bad situation had its solutions. I knew that when I was going through this turmoil. I knew that solutions were present and that I only needed to think deeper to figure out what they were. Here are ways that you can adopt to help yourself get current or ahead with paying your bills. 1. Define your needs and wants. This may not be easy to do at first, but this is what you need to do to get ahead of your finances. Ask yourself what your needs and wants truly are. In general, if you can’t live without a certain product, then, that means it’s a need. Otherwise, it’s a want. Beware of those wants that disguise as needs. They are everywhere, and marketers are so good at advertising their products as necessities when they are just wants. 2. Understand where the mistakes are. When we were trying to live cheap, we didn't fully know what, when, and how to cut our expenses. I think people needing to improve their finances can relate to what I'm saying. In reality, sometimes we only need another set of eyes to help us see what we do wrong so we can make better decisions. First, ask from people close to you especially those who live cheaply. They’ll be the best people to give you tips from experience. Second, use products that provide unbiased tips, which are based on actual data. 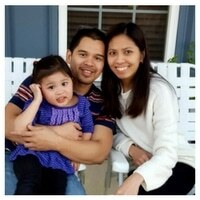 My family uses Spentapp and it turned our lives and finances 360 degrees for the better. The concept behind Spentapp is something I've never seen before. It automatically analyzes our expenses, identify our money mistakes, and recommends financial decisions, which we use all the time. It's user-friendly and easy to install. It even only takes a few seconds to get it up and running. Better yet, it gives us money for simply spending money. It gives us up to 45% cash back on many things. Why Spentapp? With my brother and Spentapp's help, we paid off our $40K debt and saved $70K all in 2.5 years, reduced our grocery bill to $150 for a family of 3, and lived off well under $31,000/year. That's our story with Spentapp. Your great story could be next. If you need to better manage your finances and make money, too, click here to get Spentapp for FREE. 3. Determine your income and expenses. Before you even begin doing the other ways I listed below, you need to know how much your income and how much your expenses are. In short, create an income and expense report or a budget. It may sound like a business report, but you can adopt this for personal purposes. Don’t try to say your expenses total this amount while your income is that amount. Put everything in writing, so you're transparent to yourself, and you’re not forgetting other expenses that could easily be made when you’re just thinking and talking out loud. I recommend you use the budget calculator (below) to see where you are overspending and underspending. This way, you know where to start cutting on your expenses, which will help you find money to pay for your other bills. This calculator can also help you identify which banks would give you the best interest rate for your money. I also recommend you use this budget printable binder kit. It's the exact budget kit my wife and I used when we were paying off our debt. The kit contains forms that are user-friendly, easy to understand, and best of all, these forms work. The kit is on sale for just $7.99, which is 50% off of its regular price of $14.99. Click here to buy the binder kit for just $7.99 and start budgeting the right way. 4. Start cutting down your expenses. Trim your expenses to the bare minimum or to the lowest level you can. Easier than done, right? Oh yeah, it is. You can start trimming down your expenses little at a time starting with discretionary items like gas and entertainment expenses and, then, go for mandatory expenses. That process is tedious though and may not work all the time. The easiest solution that perfectly works is to use Trim. It's a FREE financial assistant that saves you money. Period. It's user-friendly, easy to install, and, best of all, it takes the headache from you in finding places to cut expenses. It analyzes your accounts and searches for ways to save you money on everyday expenses like utilities, negotiates your cable and internet bills, finds you better car insurance, and more. Food for thought: Last month alone, Trim users saved over $1,000,000. That's seven figures in savings. Trim cut our on-contract Verizon phone bill by $16.75/mo. That's $201/year. (see my bill's images below). Click here to start using Trim. I haven't seen a product like this in a while. I'm glad I use it as it helps my family in more ways we could ever think of. If people like me could save money in the way we didn't think we could, so can you. 5. Work with your creditors (never hide). When you ignore the IRS’s mail because you don’t want to pay the agency the tax money you owe, what do you think happen? Eventually, it will charge you interest, penalties, and other fees. Worse, it may or will levy all your accounts. Worst, you’ll get into a lot more trouble. This IRS situation may not be the same situation that you have with your creditors, but they can and will charge you fees on top of fees. Next thing you know, you owe them quadruple times what you originally owed them. Have a conversation with your creditors. Tell them about your situation and what you can and cannot afford to pay and for how long. Show them that you are willing to work with them. Don’t just run away and forget your debts. Your debts will haunt you for a long time. While a lot of people told me to forget about the creditors, I took it upon myself to contact them and work with them. What did I get in return? They waived all my penalties and interest and put me on payment plans. In less than three years, I paid off all my debt and my credit rating has never been as good as it is now. Good things happen in your favor when you show and act in good faith. 6. Find better job opportunities or side hustles. If your needs to continue to grow and/or you cannot simply sacrifice any of your needs, it is best to find better job opportunities that pay well. Finding another better-paying job may or will be your best solution to your money problems. In the event you can’t find another job, there are other ways you can make additional money on the side. There are side hustles or side jobs, as many call them, that can help you earn extra money every month. My family lives under one income. We manage to live comfortably because we earn additional money through surveys and blogging. 7. Know where you stand. When you already know your income and expenses, your next step is to know where you stand (credit wise). Reviewing your credit report will truly give you a clear picture of what your debt situation is. It will help you identify if there are anomalies in your report, how high or low your credit score, among others. The better your understand your debt situation, the better your position is to make better, more informed financial decisions. Plus, you'll get access to better interest rates knowing where your credit stands. Please listen to my story below. When my wife and I were paying off our debt, we checked our credit report through Credit Sesame. It was one of the best options we ever used. It's user-friendly, informative, and, best of all, FREE. 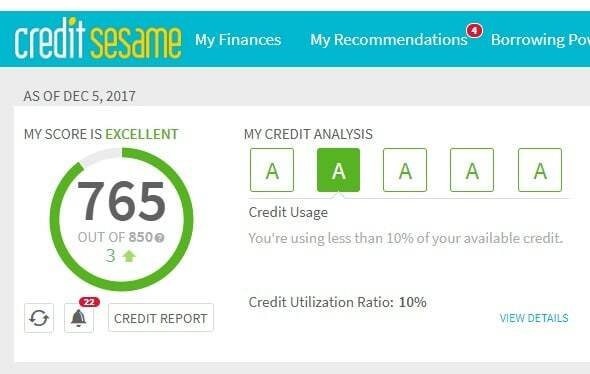 Credit Sesame not only showed us our debt situation and credit score but it also helped us find ways to pay off our debt fast. We were able to find a loan with 1.25% annual percentage rate (APR), which we used to consolidate our credit cards that had 15.99% APR. We saved over $5,000 in interest because we used Credit Sesame. From then on, we have used it for everything financial related (from finding a home mortgage to looking for high-interest bearing savings accounts). We like Credit Sesame so much. With it, we get our credit score monthly and know our credit inside and out. I started with a 600 credit score. A couple of years after, my score went from 500 to 765 (see image below). When there's anomaly, I easily contact Credit Sesame and it will do its magic to correct the problem. Click here to get a FREE account with Credit Sesame. The sooner you check your credit, the better the chance you are able to fix your situation. 8. Obtain a personal loan. I hate to say this but, sometimes, a personal loan is a good option. There were two credit cards that didn’t want to work with me. I recommend you look into personal loan to determine if a personal is right for you and what company/offer is right for you. My annual percentage rates (APRs) for those two cards were 14.99% and 18.99%, respectively. I decided to get a personal loan enough to cover my outstanding balances in those two cards. I was fortunate to get a loan with an APR of 5.99%. Did I make a good choice? Yes, because this rate was far better than those from the two cards. I saved a ton of money by not paying a lot in interest charges. Just because you have identified your needs doesn’t mean that your job is done. Your job is just beginning. You need to remember that even when you have identified all your needs, you may or will need to prioritize which ones should be met first. If your needs total to $1,000, for example, but your income is only $500, then, you need to prioritize and sacrifice some needs over the others. Being able to pinpoint what your needs are is useless when these needs cost more than what you can afford. The keywords here are prioritizing and sacrificing. I always believe that it’s best to sacrifice now and have a comfortable life later than the other way around. We use our Budget Binder Printables to identify which expenses are to be prioritized. 10. Learn to live frugal. One of the best things you can do is to start living frugally (i.e. live below your means). While it may not be easy to execute it, at first, continued practice and perseverance will help you achieve such lifestyle. My wife and I chose to live frugally when we were in the process of eliminating my debt. Just because you live frugally doesn’t mean you are depriving yourself. That is not the case, and it shouldn’t be. When we started living frugally, we found alternatives to our needs. Instead of buying branded consumables, we turned to store brands. We used coupons so much that we ended up getting a lot of products for free. When we wanted to eat out, we turned to cooking at home. These are just examples of what we did. 11. Be responsible with credit cards. It would be hypocritical of me to suggest that you not use your credit cards while you are getting current with your situation. While a lot of people will suggest that you completely stay away from credit cards, I say that you need to be strategic, reasonable, and responsible with using your credit cards. When you have credit cards that give you reward points, cash backs, offers, and others, grab those opportunities. Just make sure that you pay your dues on time to avoid fees and penalties. In the years that we were paying my debt, we got at least $3,000 in cash back. Did we forget to be responsible in paying our debt? The answer is no. Clearly, for us, it was wise to use our credit cards. Have you personally been in this situation before? What other tips do you know to help others get current with their bills? You made a good point about working with your creditors. Often time, when you talk to them about the situation, you can come to a better payment plan that eases some of the pressure of you so you can get back on top of things. Nice post Allan! Thanks, Thias. What I learned from my previous ordeal is that creditors would like to get something from you than not getting anything at all. This is one of those reasons that they are willing to work with you. Lots of great tips as usual Alan, thankfully I have never gotten very far behind on bills – but a lot of your advice is applicable to anyone who wants to pay down their debt quicker or is barely getting by and wants to start saving more. Thanks, Chris. Yes, these are some tips that people who want to pay down their debts quicker can adopt. Really good advice Allan! When I was worried if we would be able to pay our bills, writing out our income and expenses and creating a budget really helped. There’s that “fear of the unknown” of if we would be able to pay our bills. Once I had it on paper, I could make a plan. It’s the best first step for sure! Yes, Christine, you are right. It’s always easier and it’s clearer when you know what it’s in front of you. It’s hard to budget when you don’t know what your expenses are. It’s always best to put everything in writing. Great post, Allan! I would also recommend to look in the community to see if there are resources through local organizations or government assistance programs. Sometimes people may qualify for subsidies to help pay or lower their monthly electric bills for example. Or even get groceries or toiletries, freeing up money to spend on getting caught up on bills. You’re right, there are often solutions, but you have to be thoughtful and seek them. That may sometimes means getting uncomfortable and asking for help. That’s correct, Latoya. My friend doesn’t make a lot and he goes to the Church to get food. There really are countless ways to get current or ahead with paying your bills. You just have to know what they are and be willing to try them. Definitely second the “never hide” advice. Most collectors are willing to work with you. They just need to know you are trying. Yes. Collectors are willing to work with you if you work with them, of course. Yes, they will work with you. That I found interesting and true when I was paying off my debt. I like the ‘work with creditors (never hide)’ point. Hiding away from unpaid bills only make the situation worse. by the time one addresses the issue, their credit may be shot, but things could have been difficult if trying to work with creditors.